Welcome to the GC Galgos Project! We are very excited to announce that Greyhound Crossroads will now have a small number of Galgos for adoption, in addition to our Greyhounds! We are starting with a limited number, so that we can learn about this breed and what it takes to successfully bring them into our homes. We invite you to join us on this journey, while we tackle the intricacies of this new process and learn how to make this happen together. 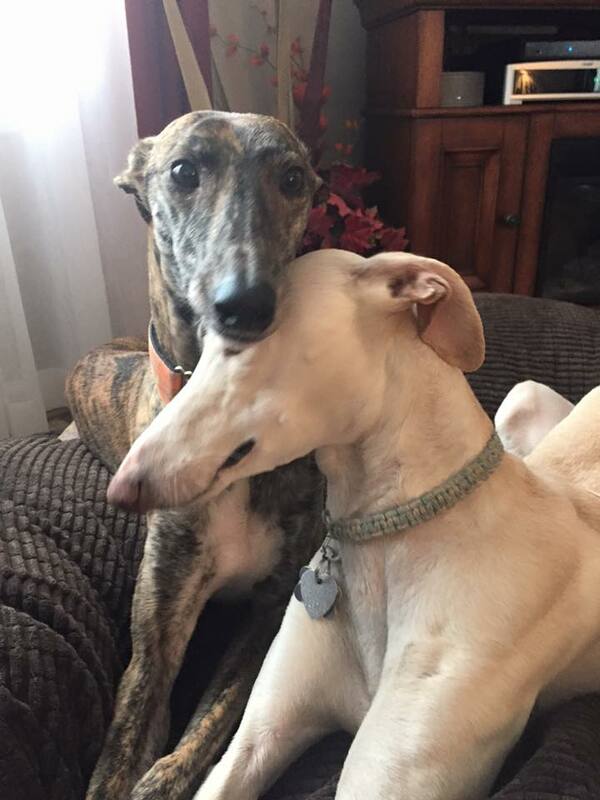 In this new website section you will find pages explaining: the history and cultural context of why the Galgo Espanol need our help, a breakdown of the difference between the Galgo and the Greyhound, what to expect from the Galgo as a pet, how to adopt a Galgo, which Galgos are currently here and available for adoption, and how to assist even if you cannot currently bring one into your home. Together we CAN make a difference in the lives of our Greyhounds' Spanish cousins, who desperately need us to care!